July « 2010 « Geekorner-Geekulture. In the year 1999, a movie is released; it’s called, “The Matrix“. In this film viewers are introduced to a technique called “Bullet-time“. A year or two later, and dozens of movies which do not benefit or have a plausible explanation for the usage of bullet-time are produced. Most of us grow weary, as bullet-time no longer elicits amazement, but is delegated to being a gimmick. It is now the year 2010, and in 2009 a movie called “Avatar“, directed by James Cameron, is released. This movie comes out in 3D, and although it’s not the first movie to come out this way, it is buoyed by waves of PR and marketing and mass hysteria. This signals the beginning of the high-budget 3D movies’ assault, which had been planned in advance; which is evident in how many of the 3D movies coming out this year had already been in production when Avatar hit the silver screens world-wide. The 3D is neat, it’s pretty convincing, and in one scene I moved my hand forward to move aside some banners which were hiding Woody. But to be honest, our mind is a great computer, and one that always falls for optical illusions. We’ve been capable of tricking it into seeing 3D for quite some time. Heck, taking the special glasses off I didn’t see non-3D, just a bit blurry as there were double-edges going on. Is not what? When a mystery show is not a mystery show. I love House M.D. I’ve been watching it every week on the cables for several years now, and have just watched the last episode of season 5 (brilliant!) and the first half of season 6. Now, House M.D. is billed as a “Medical Mystery Show”, but it’s not. After season 3, it seems the writers had figured out for themselves how much it’s not either. I’ve said it before, but it’s still true: All stories are human stories. The mystery is almost incidental.When we re-watched season 1 (re-runs in preparation for season 4), my mother remembered the “solution” to each of the cases. I usually didn’t. But that’s because in my mother’s mind, the important thing, and thus the core that she remembered was what the mystery, and its solution, were. I didn’t remember the mysteries, because they were only catalysts for the important thing. The interaction between the cast of characters, and House’s personality. Seeing the ridiculous, often funny, often amusing, sometimes deep, that he’d throw at us, and at his “friends”. In season 4 or 5, first Wilson and then Cuddy comment on the manner in which House works, how from a seemingly random thing that occurs he makes the connection. A deus ex machina of sorts. If this were truly a mystery show, then this would be horrible, as the solutions are such that are not only very remote and unlikely, but the kind that you as the (non-doctor, or even doctor) watcher could never figure out on yourself – which is the opposite of what mystery/suspense shows want – they always want to make you feel as if you’ve got a chance. So, do you watch House M.D.? What do you think of it? Well, this should not come as any surprise to you guys, but summer is the season of sweat. It’s not all bad of course, look at all those people who think they look better with sweat, erm, yeah, you don’t really see them off of billboards and ads for shoes, perfumes, or sportscars, do you? Mindless Anime Characters Celebrating their Youths! Thanks to Yi for the picture. Understanding this question can often shape the way you look at a story. Things that you did not understand their “Why?”, the reason they occured, and that had seemed meaningless, are suddenly seen in a new light. You construct the story and give it a theme, of answering the question, of resisting the question, and so on. Most interesting is the analogy of coloured glasses, or a point of view. Many people see a different story being told, a different theme. And in many cases, there are many “legitimate” answers, and switching from one question to another can help you consider the story from different directions. The first season is quite light-hearted, in a way. 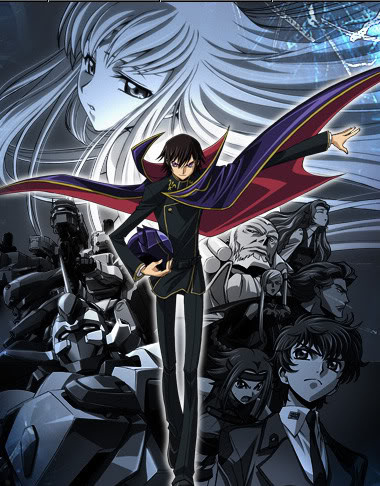 We see what Lelouch is willing to do, who he is willing to quash, what he will do in order to secure victory, and the world he is looking to establish. The second series is where the question which the protagonist thought he answered decisively in the first season returns, and the protagonist is told that his answer is unsatisfactory, his resolve untested, and that he must demonstrate further conviction. Today is the 4th of July, and today I had to stay awake for 26 hours. This makes me think of fireworks. There’s fireworks to be had in the USA (happy Independence Day to all of my American friends! ), and there are fireworks slowly going off in my mind, demanding that I rest my head. Seeing as this is the situation, and that a long weekend is coming up for you guys, but a lot of tests for me, I’m going to postpone my post on “The Question at the Heart of a Story” to Wednesday (or Thursday if I keel over), and instead, shower you lot with a condensed version of an anime review, or an omnibus of pre-episodic blog reviewing content. Ok, the above probably didn’t make a lot of sense, did it? 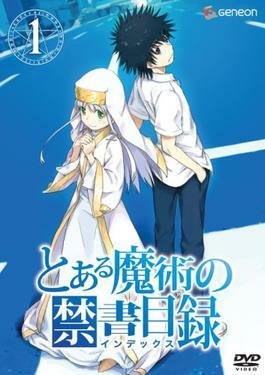 I’ve discussed my meta-experience of watching Toaru Majutsu no Index (A Certain Magical Index) on this blog before. Last month I finally finished watching the series. Now, as I’ve covered on that blog entry, I wrote down my thoughts on each episode, sometimes after it ended, but sometimes (and this really disrupted my “flow”), I stopped an episode to jot down my thoughts as I had them, and later I wrote down how things panned out – did they get answered, or did the water get even murkier? What I’m going to share with you are those thoughts. You can look at them as 24 episodes’ worth of an episodic blog’s review of a series in one post, but that is obviously not what they are. These are the thoughts I had during the time I watched each episode. I sometimes had thoughts on an episode as a whole. A good episodic blog would have taken each of those thoughts, and wrote at least a paragraph on them. It’d have found thematic strings between the disparate elements and connected them. An editorial blog (such as this one) would have taken all those endless strings and weaved the ones the writer (that’s me) finds more interesting into weaving a compelling whole. In the case of this series, it somewhat feels as if it’s based on a light novel series, as you can point to distinct “chunks” of the series that are different in focus and even theme than others, and are discrete. The arch-angel “arc” for instance was quite horrible. Needless to say, this post will spoil the ENTIRETY of the series! BEWARE!